Walking the west side of the farm, you will find our mostly native hedge row. This includes a brambly rose that right now is covered in orange and red rose hips. The bushes are really lovely, but besides their beauty if made me think about all the benefits and uses of rose hips. Could this be something we could harvest? Or perhaps if anyone of you is interested in harvesting for yourselves, it could be another reason to come visit the farm? 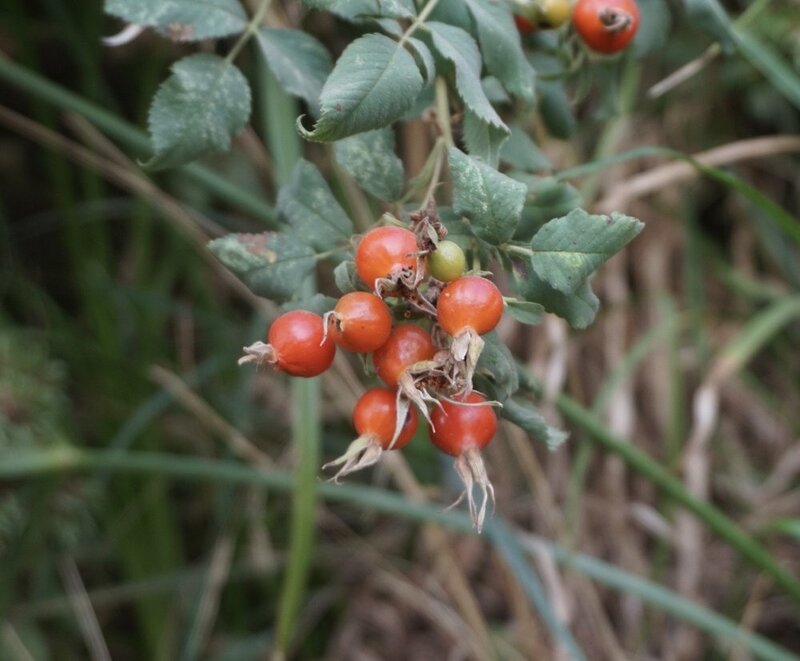 Rose hips are commonly used in jams and jellies, liqueurs, oils, dried for tea. They are incredibly high in vitamin C. Rose hip oil is commonly used in skin care. Something to consider for the future. Would love to know if anyone has any interest in them? Text me 530-554-3971 or comment on Slack.